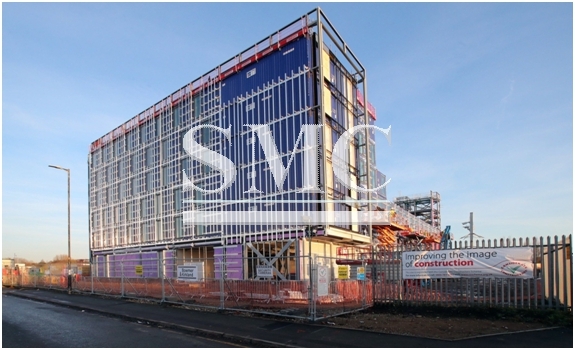 The city of Manchester, in the United Kingdom, is about to become home to a 220 bedroom hotel, constructed entirely from containers. Hotel chain ‘Holiday-Inn’ claim they are one of the first in the North-West of England to be taking this route of construction. The purpose built steel shipping containers come complete with interior fixtures and fittings, full height windows, carpet, wallpaper, ceiling and light fittings - all of which are installed before being delivered to site. The 220 containers being used have been ordered from China. Each container will weigh approximately 20 tonnes; due to their extreme weight and solid frame, it makes for the perfect building material because of a containers resistance to poor weather conditions. As they are arriving from China practically fully furnished, it will take just 2-4 weeks for the hotel to be erected upon arrival. The hotel is scheduled to be ready for opening in May 2017.